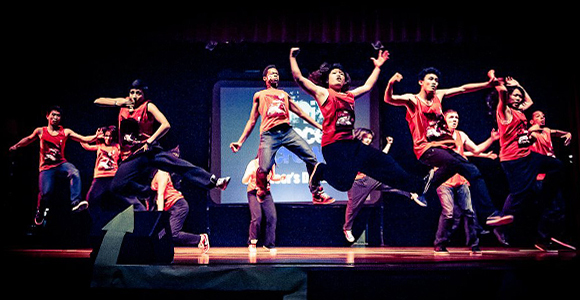 PhiNix dance crew brings hip-hop to campus and beyond. There are 11 clubs in UChicago’s Dance Council, from ballet to bhangra, so rehearsal space on campus is a hot commodity. The hip-hop dancers of PhiNix Dance Crew—including a choreography group of about 30 dancers and a freestyle group of about 15—practice in Bartlett, Ratner, Ida Noyes, Logan, and, as a last resort, Henry Crown. Sometimes they bring their beats to the quad. The Core spoke with artistic director of freestyle Xinyi Ge, Class of 2018 (computational and applied math and economics), and artistic director of choreography Emily Zheng, Class of 2017 (economics and statistics). What’s the difference between choreography and freestyle? Ge: Choreo is more performance oriented—prepared and practiced beforehand—whereas freestyle is more improvisational. Freestyle is more about the individual. We encourage our freestylers to find the style that fits them the most and specialize in that. Ge: I specialize in house, a style that originated in Chicago. It’s pretty chill; it’s a happy dance. I’m a happy person, and house is a liberating style. How did you get into hip-hop dance? Zheng: I watched videos online and wanted to be able to do the same thing. I tried out for my high school dance team, which focused on hip-hop. I didn’t get accepted, so I spent the first two years in high school practicing on my own, asking other dancers to teach me. Ge: I did choreography in high school. 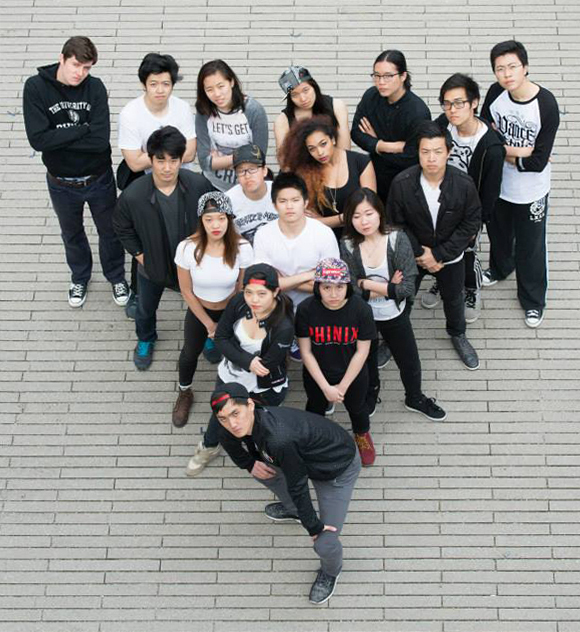 PhiNix is UChicago’s only hip-hop crew, so I auditioned. That’s when I learned about freestyle, and that’s definitely opened something up for me, the way I approach things—a life attitude. Does PhiNix teach members about the context of styles? Ge: We have style leaders—people who come in with more background who host workshops on the history of different styles. Sometimes PhiNix alumni come back to teach. This year we also collaborated with TAPS [Theater and Performance Studies] to host a series of master classes and invited big-name dancers and choreographers to teach different styles, like waacking or popping. What kind of community events is PhiNix involved in? Ge: One workshop was at Kozminski Elementary [at 53rd and Ingleside]. PhiNix members got together an after-school program and brought in an instructor. For freestyle it was about the moves. For choreo, they learned a short routine. A lot of them are really good dancers. I thought, wow, some of them know more than me, even at such a young age. We also host fundamentals workshops on Saturdays, 5–7 p.m., at Bartlett rehearsal space. Tell me about the jams. Ge: For a few years, we’ve held the Strawberry Jam. It’s a relatively small jam, so this year it was at Bartlett. We invite Chicago dancers to come battle it out, just to have fun—a chance to build a hip-hop dance scene on the South Side. Some of them don’t come down here that much. A lot of the dance community is on the North Side. Does everyone in the choreo group create routines or is there a lead choreographer? Zheng: Every quarter we create a themed set, and within each set there are about four or five different student choreographed pieces. I take the lead on the first piece, which is usually the audition piece to bring in new dancers. This past fall, our theme was dystopia. Interested members create routines around this theme, and from there, I put the dances together in an order that makes sense. Or if there’s a certain story line, we try to follow that. What are some of the challenges you face as artistic directors? Ge: Recruiting people. If you’re serious about dance, it takes a lot of time, commitment, and dedication. Zheng: You have to find a balance between dance and everything else, especially at UChicago, where academics is the main focus. If someone has a midterm the next day, we can’t say, you have to come to practice. If an old person like me wanted to get into a dance crew, what advice would you give? Zheng: I would just say go for it! Dance isn’t restricted to a certain group of people. It’s open to everyone—it’s about creative expression. What’s the typical demographic of your Saturday workshops (i.e., how out of place would I be)? Zheng: The majority are undergrads, a couple of grad students, mostly UChicago and some from UIC and Loyola. But we’re open to all ages. We want everyone there. *In 1985, if a certain seven-year-old were interested in learning hip-hop, she could buy Alfonso (aka Carlton from the Fresh Prince of Bel-Air) Ribeiro’s book, Breakin’ and Poppin’ (Telmak Teleproducts, 1985), complete with fold-out breaking board. Today’s would-be dancers can find 500,000+ hip-hop dance tutorials on YouTube.